This post needs to begin with the disclaimer of these foundations will not work for flash photography as some of them have an SPF in. Which is the golden rule if you know that you’re ever going to in front of flash photography, never use something an SPF in because you will get flashback which isn’t something anyone strives for. But if you’re someone who regularly takes photographs in natural light then you will know that some bases look better than others, surprisingly there is nothing overly glow giving in this roundup as I don’t find that’s always the most forgiving in photographs. 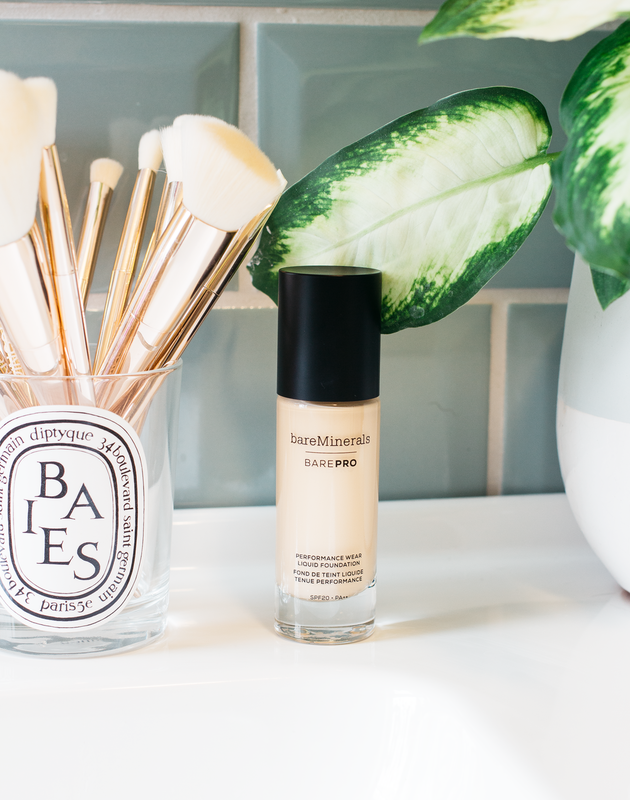 For me, I love something that maintains a very natural finish and here are my top 5 that do just that. This has been my go-to base as of my late as the shade is perfect for my winter skin. Ever since receiving this base a couple of years ago it’s been something that I’ve come back to time and time again because it’s fantastic. It’s very comfortable to wear which is key for something that is a little more full coverage, I’d say it’s a solid medium that is easy to build up. It glides over everything on my skin without drawing attention to it, whether that be a dry patch or a blemish. Formulation-wise I’d say it’s a soft matte, but upon application, my skin feels perfectly comfortable and whilst there isn’t any obvious glow things don't look flat either. It’s a foundation that I could happily use all year round as whether things are a little drier or oiler this works and I’m never left feeling disappointed. If you were a lover of the original Laura Mercier Silk Creme (RIP, I miss you every day) then you might enjoy this. It feels very similar upon application and it’s the closest thing I’ve ever found to my first true foundation love, it’s not a dupe but very similar. This is a base that I reach more for when my skin is a little more oily, it’s not a great option for a seriously dry complexion at all as it will cling to any dry serious patches. For me, this is very full coverage but it never makes my skin look fake or too heavy which is always the worry with something like this. It’s marketed as a satin matte which is what I’d happily say it is, again it's a base that's matte but not flat. And much like the name suggests I do find this very comfortably hangs around all day, I’m not sure I can attest to the full 12 hours but it does stay around for a good while. I’ve lost count of how many times I’ve waxed lyrical about this base and even though my bottle is far past its best and it needs to be thrown away, it’s without a doubt one of the best foundations I’ve ever used for a seamless and natural finish. We all probably remember the advert they put out when this was released with the CGI foundation gliding over the egg, and it in a strange way this is somewhat what this base does. Apart from it’s on the skin and you’re not an actual egg being covered in foundation. It smoothes over everything with ease and creates the most beautiful even base that stays around all day. It’s very much a natural finish and works whether my skin is oily or dry, without the need for a primer underneath which is rare. I absolutely love to wear this in the summer months, it stays around even on the hottest days and it contains a small amount of SPF which is always a bonus. Another soft matte finish foundation, what can I say they really are the best for photographs! At first, I didn’t get on with this base at all but that was all down to my application method, I find a nicely domed brush is what works the best for this and waiting a minute or two before applying any other products so it can settle down. It’s very natural and maintains a skinlike finish which doesn’t lean in any type of direction, if you’ve used bases like the L’Oreal True Match then it’s very similar to that but fuller coverage. It doesn’t budge or transfer which is something I look for in my bases as a glasses wearer there is nothing worse than half of your foundation rubbing off around your frames and it doesn’t crease either. It wears beautifully throughout the day and even when it does start to wear (we’re talking well into the evening) then it does so evenly so you're not left looking patchy in the evening. 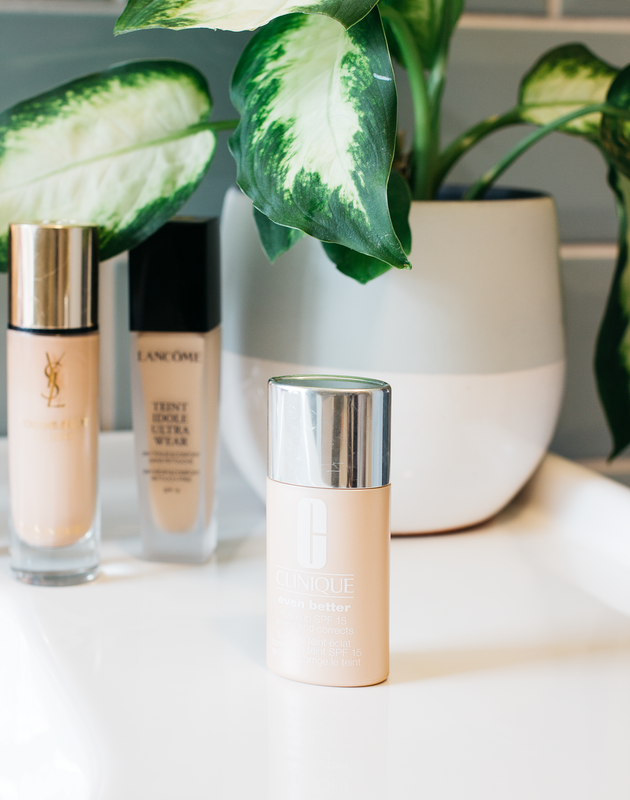 The original formulation of this foundation probably wouldn’t have made the cut for this post, as dreamy as it was and as much as I adored what it did to my skin it was very dewy. But the updated formula is somewhat pared back, it still gives the illusion like you’ve had a great nights sleep and like you’ve been drinking the recommended amount of water which is what I want from a glow-inducing base. I don’t love anything that makes my skin look too glowy, there’s a fine line between glow and sweat and sometimes things tread that line a little too much. Anyway, the updated of this version also has improved staying power and even though it wasn’t something that I struggled with too much with the original it’s reassuring to know that it has been worked on as I know some people did find that to be a real issue. It’s very much your skin but better kind of product, it feels incredibly kind to the complexion which is ideal if you do have any breakouts or your skin is feeling a little more tender. what are your favourite foundations to wear for being infront of the camera?